A new round of Saharan dust is heading for the central and eastern Mediterranean including Greece, Turkey and Cyprus tomorrow and on Wednesday. 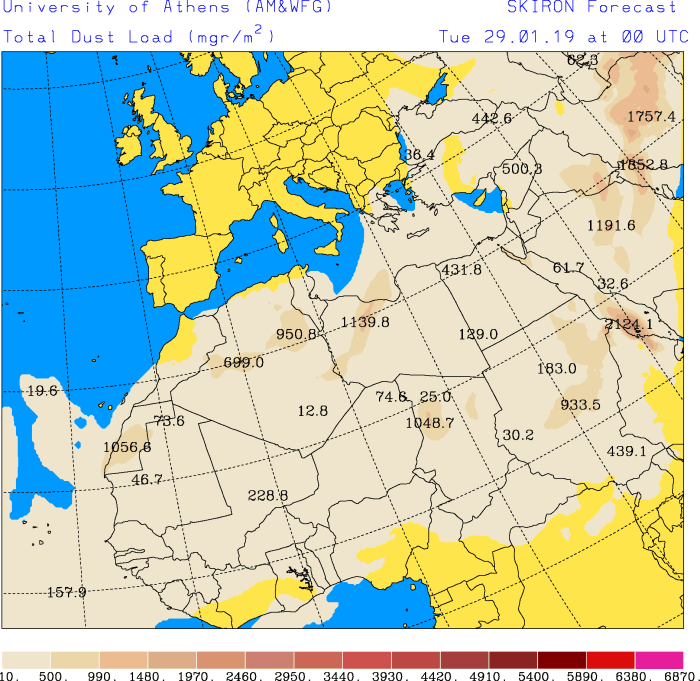 Large amounts of Saharan dust pushing into Crete Island and further north on January 25, 2019. 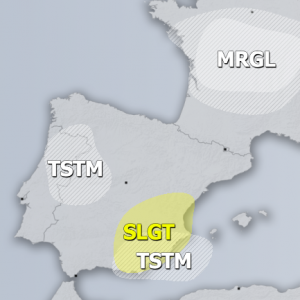 Image: NASA Worldview / Terra MODIS. 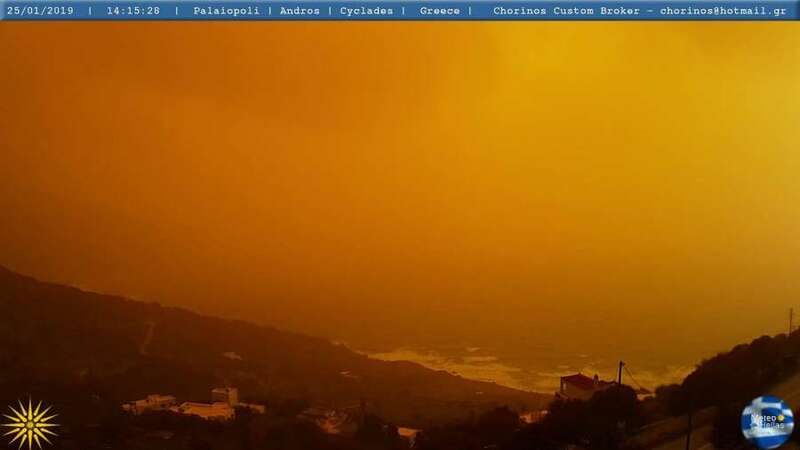 Dusty skies over Andros Island, Cyclades, Greece on January 25, 2019. 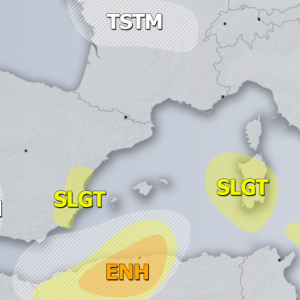 Report: Meteo Hellas. 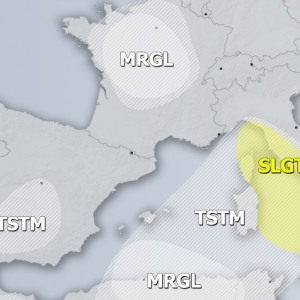 A broad low is slowly pushing eastwards across the central Mediterranean. Ahead of the low persistent southerlies advect warm, dry airmass full of desert dust from the arid regions of northern Africa in Libya and Egypt. Expect dusty skies across the region, starting early on Tuesday, with the main concentration of dust expected in the afternoon and evening hours. The dust will reach the SW coast of Turkey by Wednesday morning, pushing eastwards towards Cyprus through the day. Dust load over the Mediterranean. 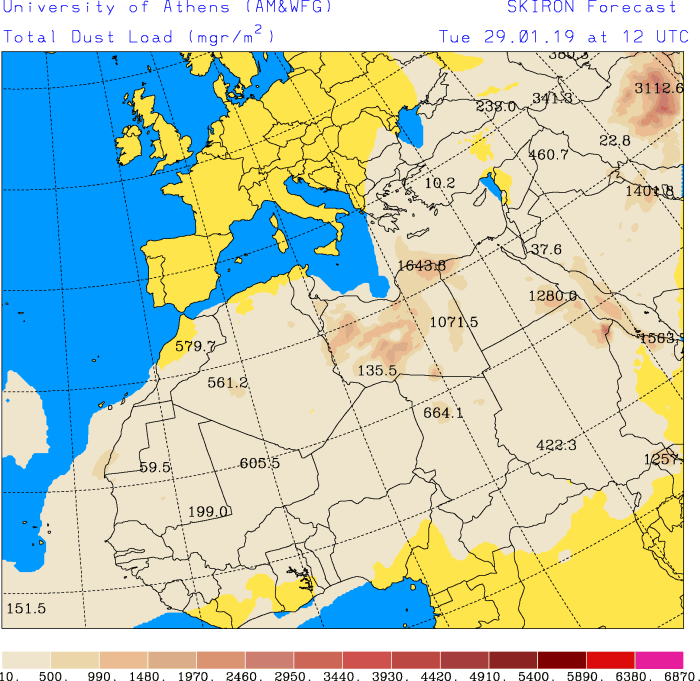 Map: University of Athens / SKIRON model.